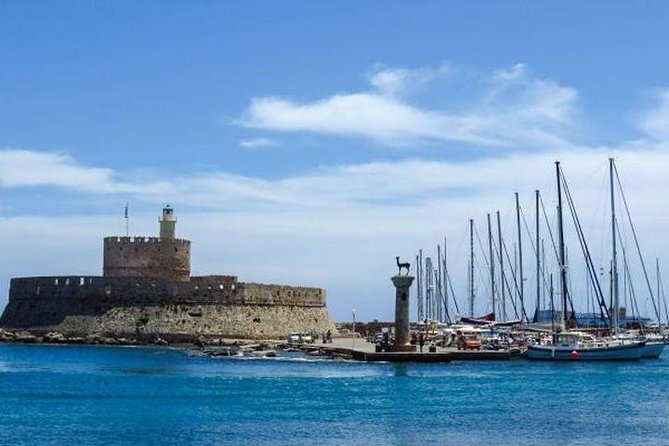 When your cruise docks at Rhodes, head out to explore the city on a 3.5-hour private tour! This must-do Rhodes shore excursion includes walking tours around Rhodes Old Town and Mandraki Esplanade. Hear stories of the city’s history and the legacy left by the Knights Crusaders who led a succession of holy wars in the Middle Ages. 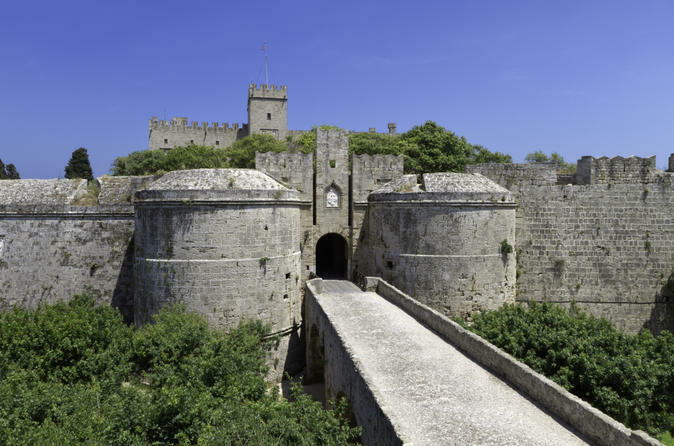 See monuments such as the city gates of Porte d’Amboise, and explore the Palace of the Grand Master of the Knights of Rhodes on a tour. Entrance fees are at your own expense. 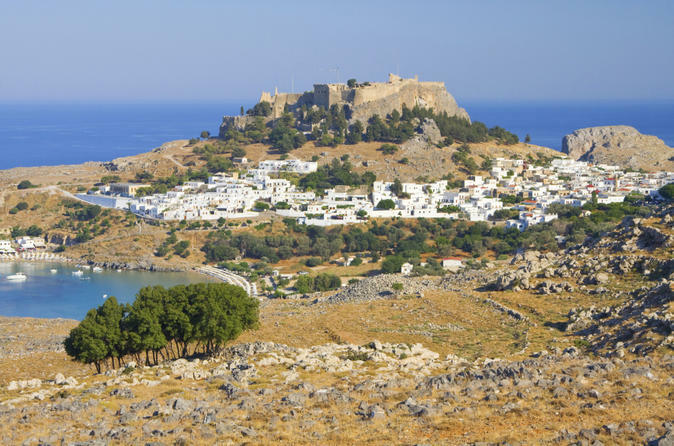 After your cruise ship docks at the Port of Rhodes, enjoy a full-day shore excursion to the village of Lindos and Rhodes Old Town, led by a private guide. Explore Lindos Acropolis and the enchanting village on a walking tour, and then spend the afternoon visiting the Acropolis of Rhodes and Rhodes Old Town. 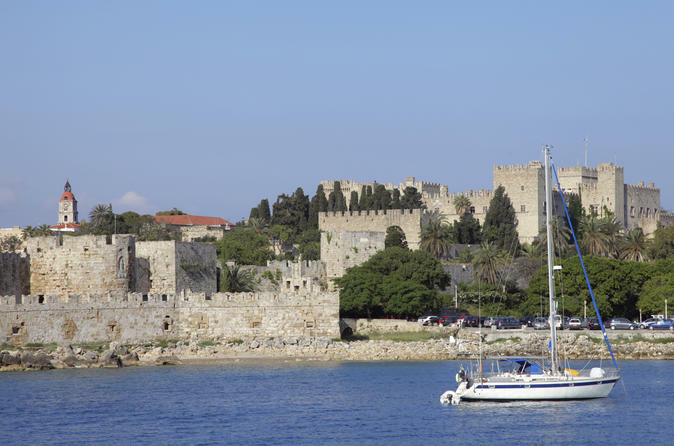 Hear little-known facts about Rhodes’ historical landmarks and admire must-see sights such as the Palace of the Grand Master of the Knights of Rhodes. All entrance fees are at your own expense. Discover the city of Knights on a Segway! Feel like a modern-era Knight, by visiting all the important sites in the medieval city of Rhodes, where the Knights of the Order of St. John of Jerusalem lived and prospered. Feel the haunting and mysterious air that wafts through the streets and explore the narrow alleys in small groups with one of our experienced guides in English. Discover the ancient village of Lindos with its stunning 4,000-year-old acropolis on a 4-hour sightseeing tour! 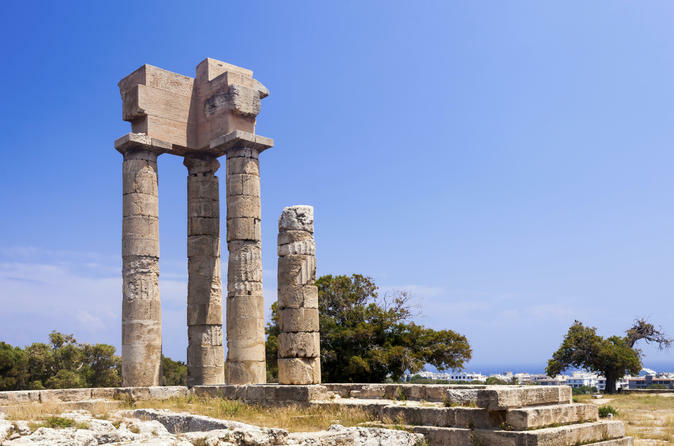 With an expert private guide, travel to Rhodes’ east coast along the scenic coastal roads, and then explore Lindos Acropolis (own expense) on a walking tour. Have a camera ready to capture sights of Byzantine ruins and Ancient Greek temple against the backdrop of the Bay of St Paul, and then visit the Church of the Ascension in the village. The itinerary on this private tour is flexible and can be tailored to your requirements. 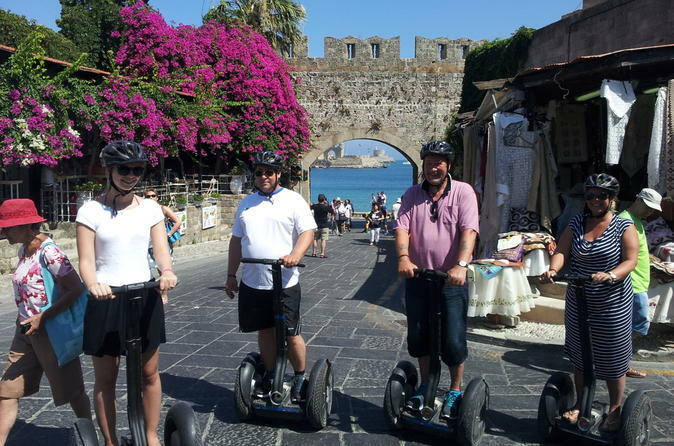 Visit all the major landmarks in the medieval town of Rhodes & the Mandraki Harbor area effortlessly, by Segway! 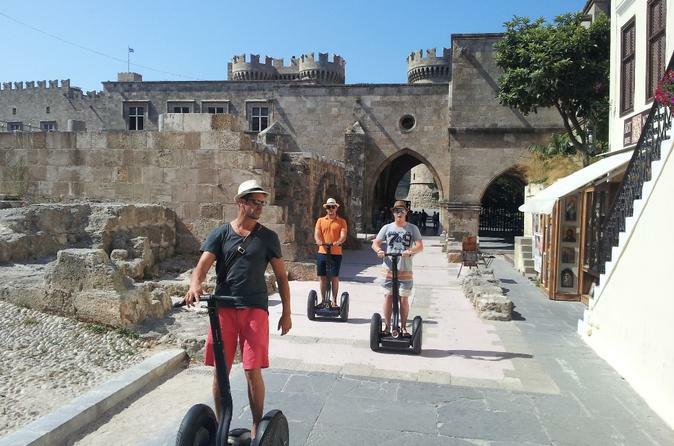 This unique small-group tour offers a complete overview of the medieval & more modern part of Rhodes, in a fun & relaxed way in just 3 hours! Discover the real position of Colossus and explore how the knights defended their city in an innovative way, in small groups accompanied by an experienced guide. Admire how the Italians renovated the city and learn about the numerous transformations of the important ports of Rhodes, throughout the centuries. 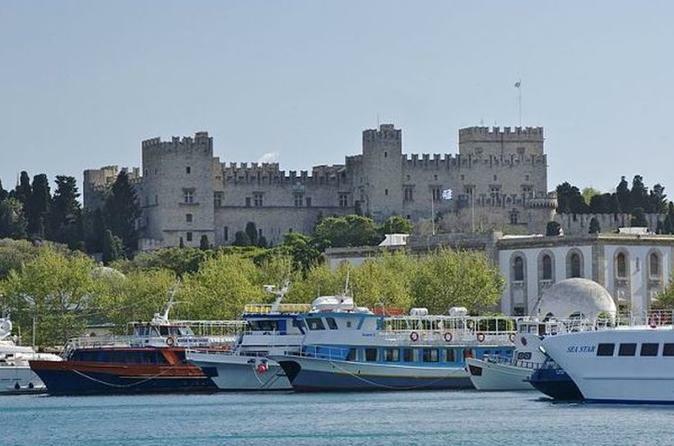 Soak up the sun and see some of Rhodes’ most picturesque beauty spots on this full-day cruise of the east coast. Relax on deck as your boat slips away from the harbor and out onto the open waters of the Aegean Sea. 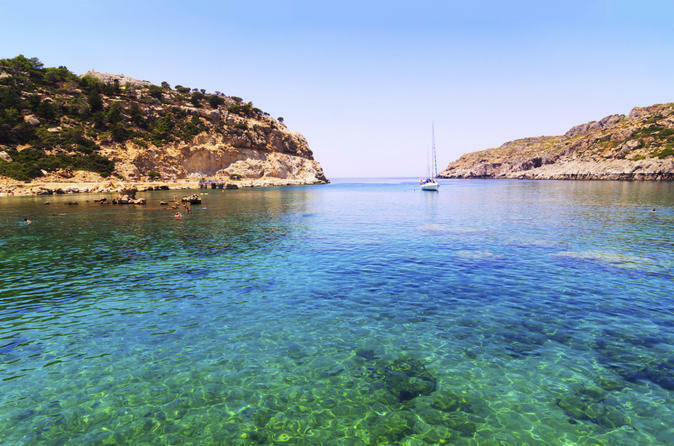 Anchor off Anthony Quinn Bay for a refreshing dip before feasting on a delicious onboard buffet. Stroll along the beach at Afandou Bay and then dive into the turquoise sea by Tsambika Beach. End your cruise with a visit to the historical Kalithea Spa, famed for its once healing waters. Private full day tour with English-speaking driver and air-conditioned vehicle. 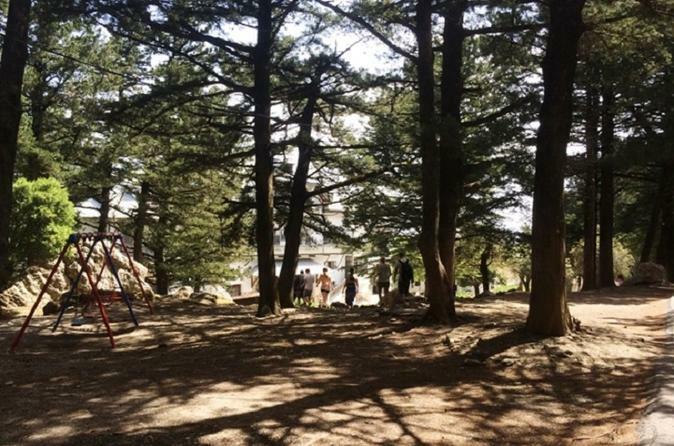 Your tour includes the highlights of Rhodes New and Medieval Town, Lindos Acropolis, Butterfly Valley (during summer period mid June until mid September), and Filerimos. 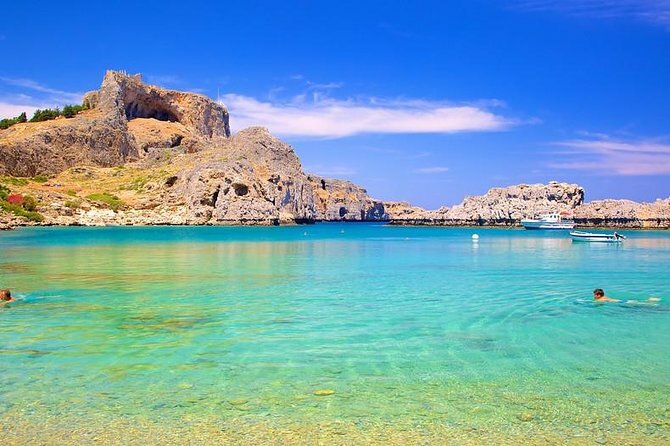 Visit the ancient village of Lindos and its impressive 4,000-year-old acropolis on a 4-hour shore excursion from Rhodes! With an expert private guide at your side, travel along the island’s east coast, and then explore Lindos Acropolis (entrance at your own expense) on a walking tour. Marvel at the sights of Byzantine ruins and an Ancient Greek temple set against the Bay of St Paul, and then visit the Church of the Ascension in Lindos village. The itinerary on this private shore excursion is flexible and can be tailored to your requirements. A trek in wild mountainous beauty of west Rhodes. Walk through the less known valley of butterflies at Salakos village and reach Profitis Ilias Mountain with historical buildings of the Italian era and views of the whole island. Easy level tour. Age 11 years and above. Cruise across the Aegean Sea and discover the idyllic Symi Island and Panormitis Bay on this day trip from Rhodes. 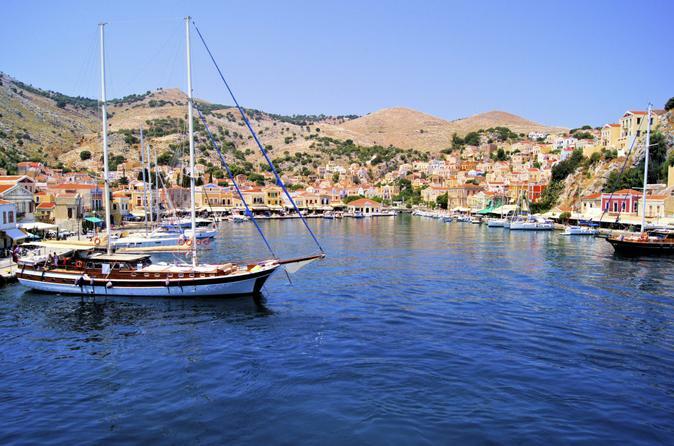 Soak up the sun as you glide across the water to the mountainous isle of Symi. Learn about the age-old practice of sponge diving from a friendly guide, and then explore Symi's charming harbor independently. You'll also cruise over to Panormitis Bay where you can choose to visit the celebrated Monastery of the Archangel Michael. 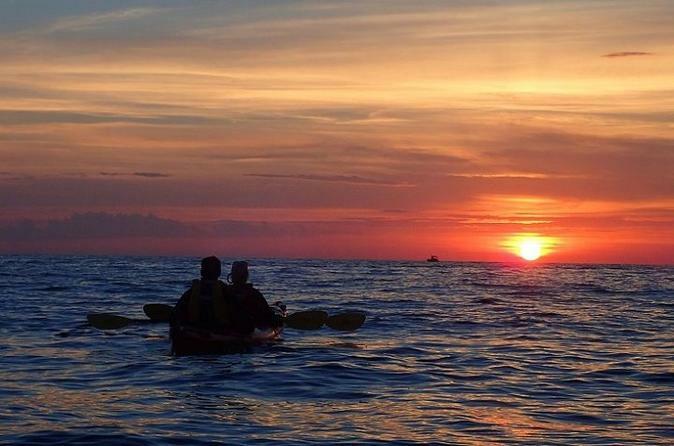 Ample free time is included, allowing you to explore at your own pace. Want to try scuba diving without committing to a multi-day course? 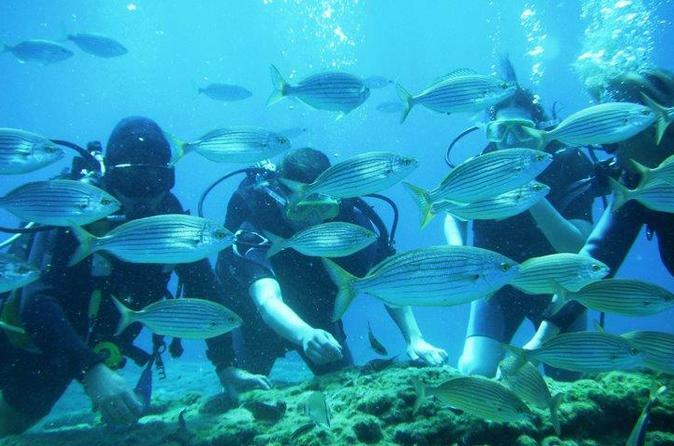 Take the plunge with this small-group scuba diving experience in Rhodes. Begin with a safety briefing from a PADI-qualified dive instructor, covering everything from scuba theory to breathing techniques, then cruise from Mandraki Harbour to the crystal clear waters near Kalithea Bay. Enjoy a 30-minute dive, passing undersea caverns and spotting colorful marine life while your instructor keeps close by. Upgrade to include a secondary dive, following a slightly deeper route. Numbers limited to seven people, ensuring a small-group experience. 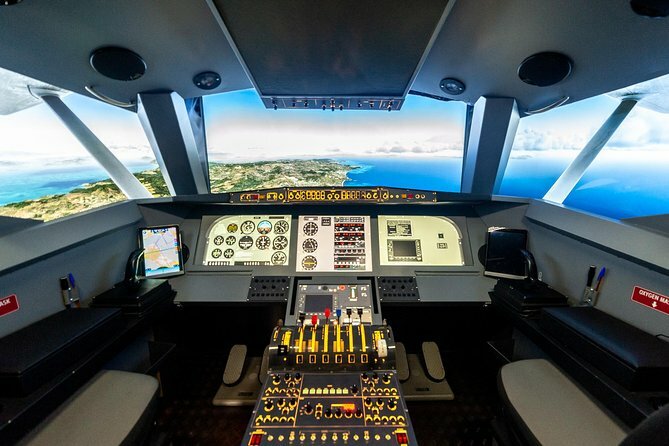 Make your “Pilot Dream” come true with a 2 hour, highly realistic flight simulator experience over the Island of Rhodes. Learn the basics of flying from our qualified flight instructor. No prior flying experience is needed. The simulator is fixed based, there is no movement and is 100% safe. Up to 3 people can share the flight and fly the aircraft during the session. 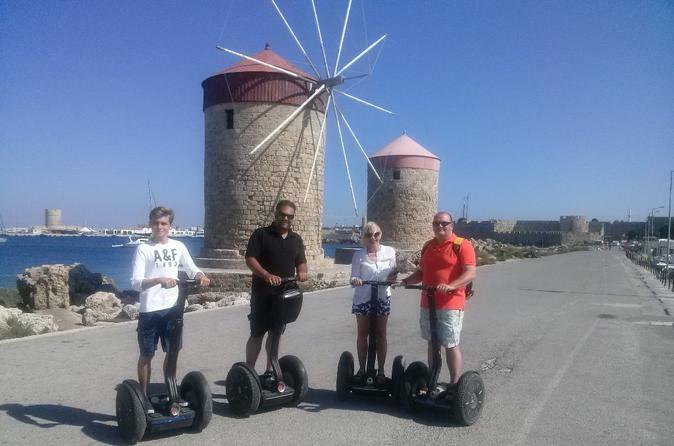 Private tour with English speaking driver and air conditioned vehicle including the highlights of Rhodes New and Medieval Town & Lindos Acropolis. Spend time away from the cruise ships at Rhodes Port, and head out to see the island’s highlights on a 4.5-hour private shore excursion! Travel with a private guide around Rhodes, visiting the Acropolis of Rhodes, Filerimos village and the island’s UNESCO-listed Old Town. Hear of Rhodes’ Hellenistic history, and then finish with a tour of the Palace of the Grand Master of the Knights of Rhodes – a monument as majestic as its name suggests.